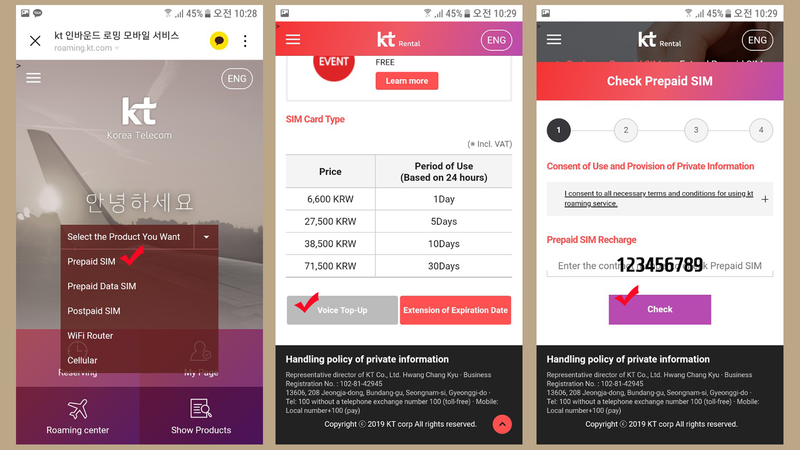 How do I extend validity expiry of Prepaid Korea SIM Cards? Thanks again being with our Korea SIM Cards. 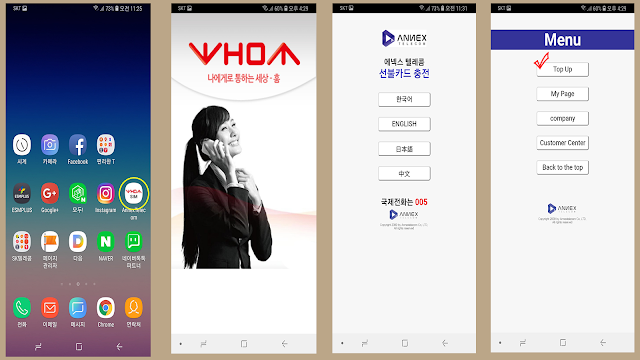 You can extend validity date with following recharging method while enjoying the Prepaid Korea SIM Cards. 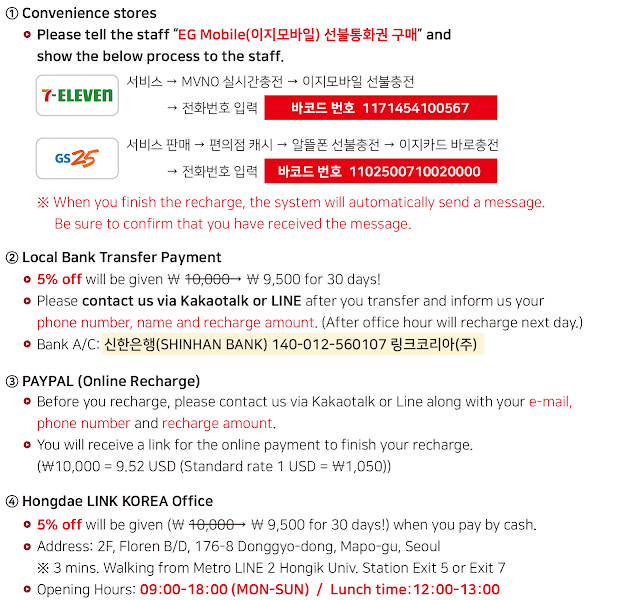 These are all the easy ways you can recharge for your prepaid Korea SIM Cards are listed below. 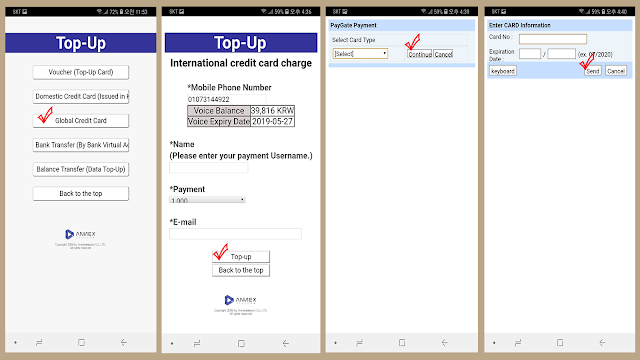 Before you recharge, please ready to prepare your mobile number you want to recharge and credit card. Global/Domestic credit cards are acceptable. * How to recharge in Korean >>> Tap here ! 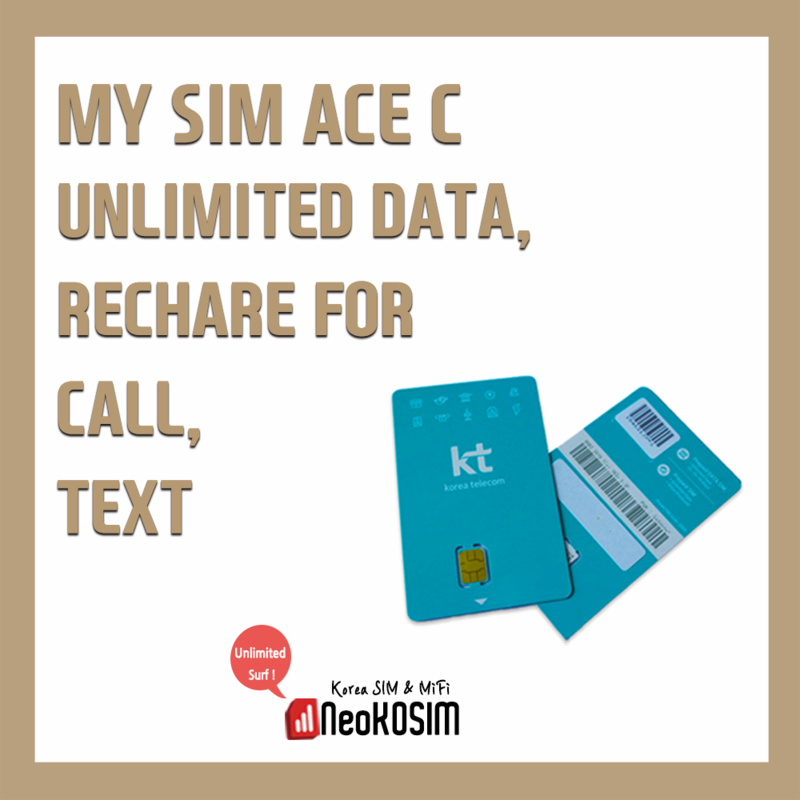 Please download “WHOMSIM” Apps of service provider KT MVNO and recharge before expiry. Recharge amount per day is KRW 3,000. * 5/7/10/15-Day plan of SIM Cards are extendable up to 30-DAY only once including from the first using date. 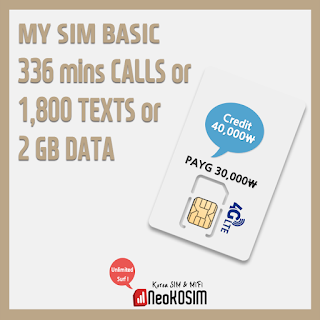 * 30-Day SIM plan, it is extendable up to 30-DAY only once. When purchased 15-day Pass and want to extend 3 days more, top-amount is KRW 9,000 (=3 days X KRW 3,000). – You will receive text message of credit balance if you used up 80% of free 100 mins call, 100 texts credit. – Data service may be interrupted as your credit balance runs out if you used up all your given call & text credit without additional top-up. * How to recharge by using App as following. Text message “completed Top-Up” will be received after payment. You are needed to recharge your credit as following instruction at pickup points if you want to use another 30 days. * Credit expiry of both SIMs is able use up to 90 days by recharging each 30 Days from starting date for those who are foreign nationality. * If Not recharge within 3 days after expired, SIM Service will be terminated automatically. * The each amount for extension is 58,500 KRW(~55.70USD/FREE B) and 37,500KRW(~35.71USD/PLUS B). How to recharge, please refer the instruction as below. – The bank account info for top-up is given at the pickup points. – As for MY SIM FREE B, You are needed to transfer KRW 58,500(~US$ 55.70) to their bank account. 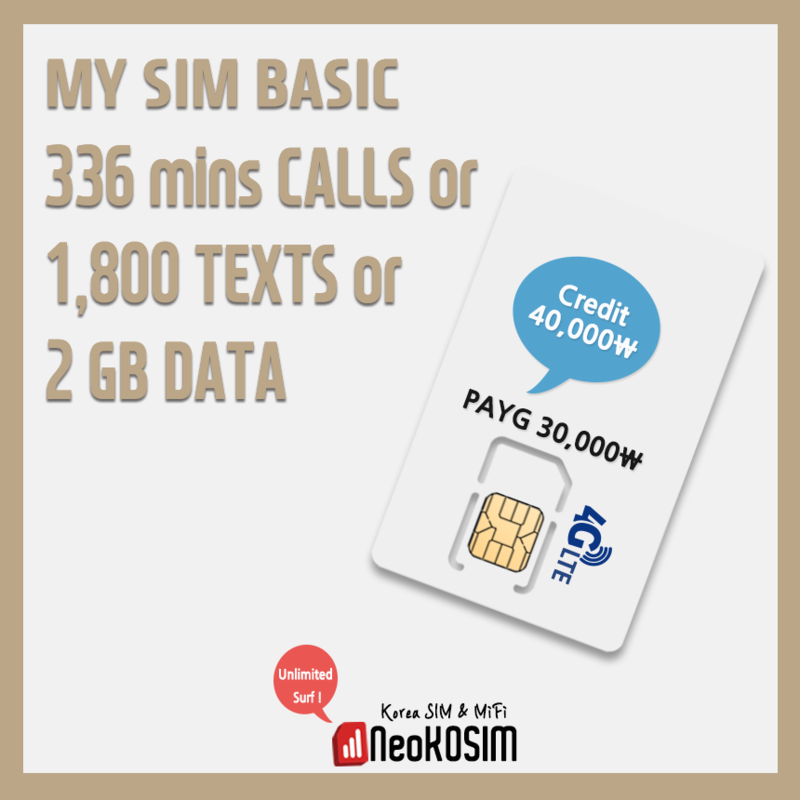 – As for MY SIM PLUS B, You are needed to transfer KRW 37,500(~US$ 35.70) to their bank account. 3. Visit the office of Hongdae Link Korea who is our partnership company. 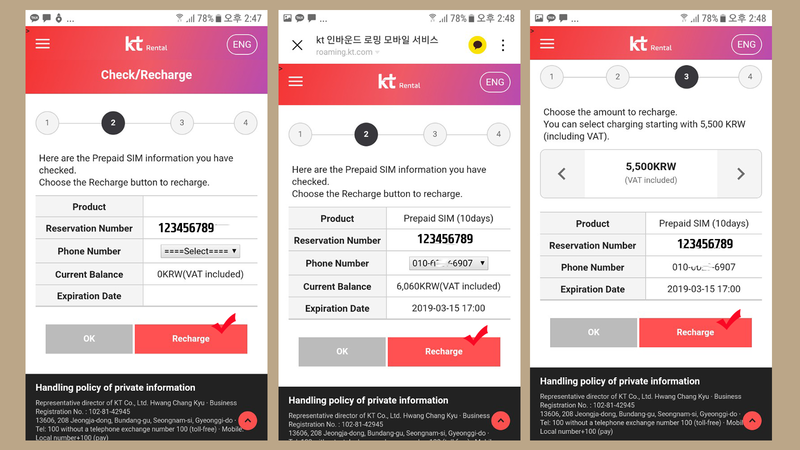 You can recharge the credit by the unit of 10,000KRW. Validity period is given 30 days per 10,000KRW. You are needed to recharge your credit as following instruction at pickup points. – Phone number will be terminated on the 45th since the validity date has expired. You are needed to recharge (Top up) your credit as following instruction at pickup points. 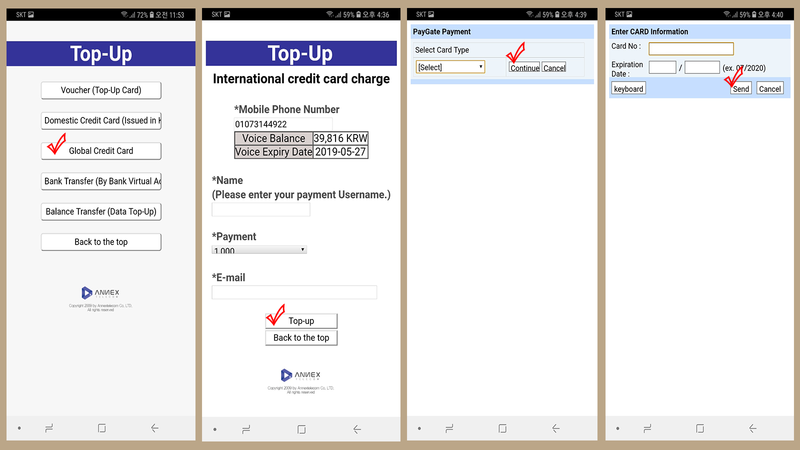 You have to recharge within expiry date if you want to use Voice service continuously or extend using period for Data. After expiry date, you can’t recharge or reuse your SIM Card. 5. Click “SELECT Phone Number” and “recharge”. 6. Check your current balance and click “recharge”. 7. Choose the amount to recharge and make a payment.